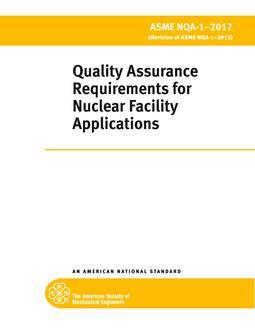 Describes the requirements and guidelines for qualifying active mechanical equipment used in nuclear power plants. The requirements and guidelines presented include the principles, procedures, and methods of qualification. This Standard does not apply to electric components such as motors, electric valve actuators instrumentation, and control devices which are qualified by conformance with appropriate IEEE Standards.